I bequeathed all my clothes to the concierge when I left for London. I took my guitar and a small empty suitcase. By the time it stood against the wall of my studio in New York it had assumed a discreet presence to the point of invisibility; over the years its firm blue canvas cover had become faded and rubbed in patches, the softened fabric seemed too large for the body inside that was shrinking from lack of attention. Now that it was in the darkroom on the top floor of the house in England the guitar seemed to spread large, asking me to touch it. 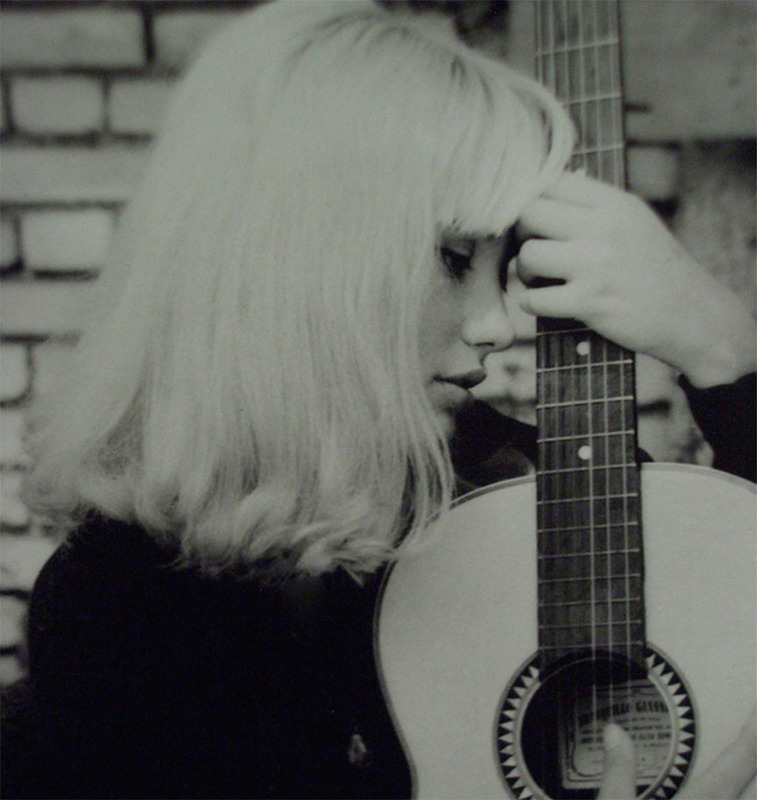 One day when I was particularly impatient with myself I unzipped the cover and lifted the guitar out by its neck. It had a slit along the chest. I placed my fingers on the cords. It needed tuning. But its sound was there. I decided I didn’t want to live with regret. I put the guitar back in its case and placed it against the wall of the house where the bins stood waiting to be emptied: maybe a gift to an unknown person. The garden surrounding the house watched as it was taken away. Now that I sometimes record again, I think of how shortsighted I was. How lacking in courage. Strangely, it is my voice that contains the guitar now, my voice that modulates emotions equivalent to the minor cords that my blue guitar once offered me.